Thanks to Steffnee Peterman, Colleen Crosby for caption help on this page. 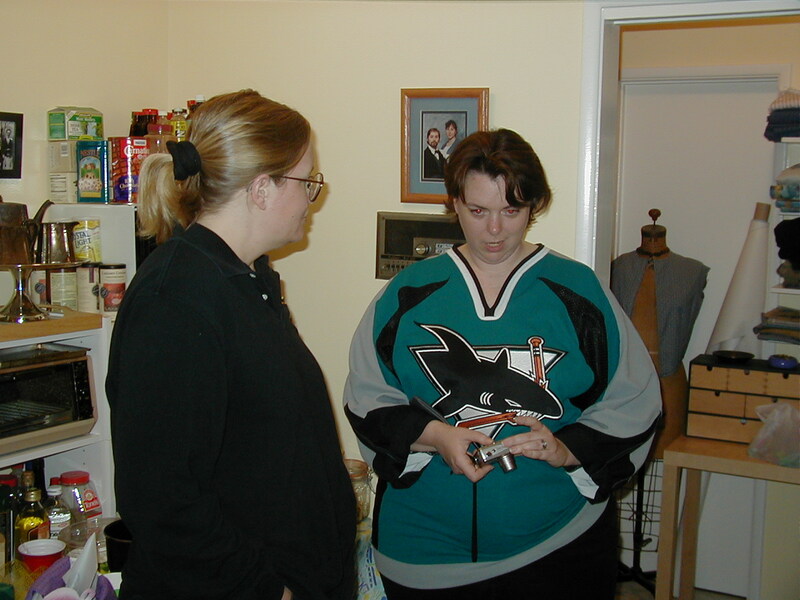 Scott Martin at left, Graden walking in the door, Colleen Crosby in red, and Arlene Satin (?) obscured at right. Brian Reynolds and Tracy Reynolds on couch, Monica on floor, Scott and Colleen behind couch. Jennifer Gray and Kevin Gray talk to Jon Paulson. Jennifer Gray, Kevin Gray, Jon Paulson. Nennette Evans and her friend, Darlene.